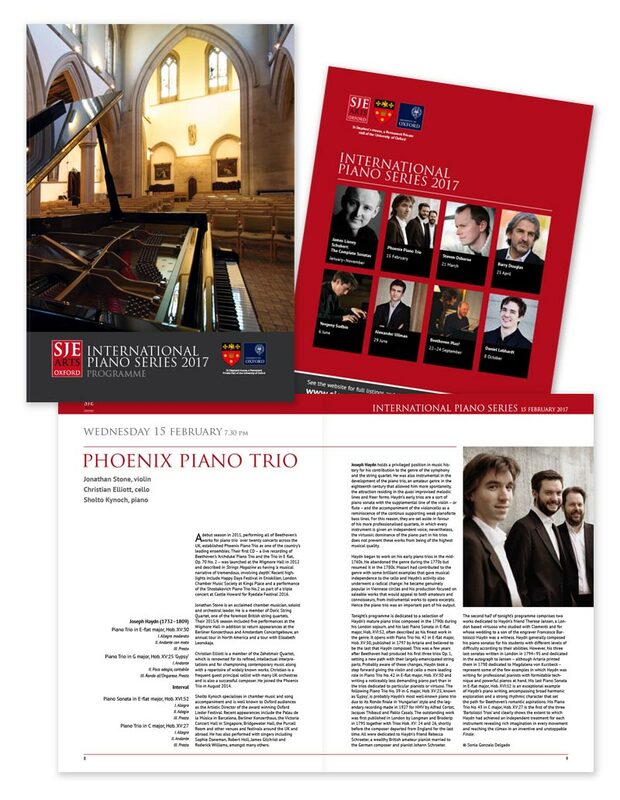 I have worked with the SJE Arts International Piano Series programme team for a number of years, to create the printed programmes for their annual concert series. The programme follows the SJE Arts style created for marketing and advertising materials, and extends it to create a luxurious and spacious set of layouts and to carry a large amount of information about the series and individual events. The programme has been described by one concert-goer as "one of the best put together programmes I have ever seen".